Winter has left but cozy and modern furniture is always to the point. 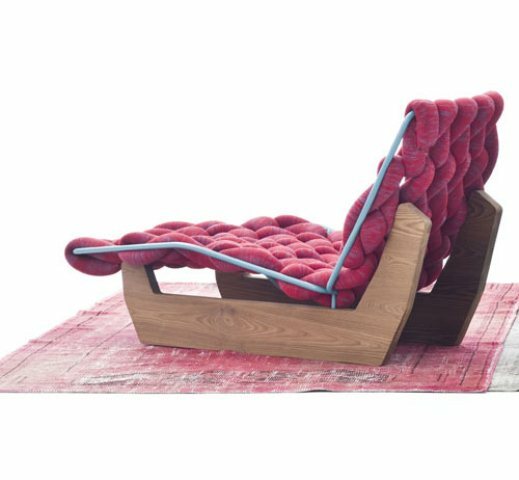 That’s why this Biknit chaise lounge by Patricia Urquiola for Moroso is a great idea. 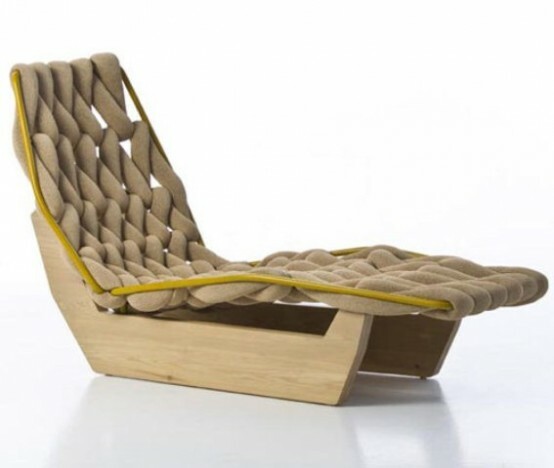 These chairs are made from a durable, thermo-stabilized ash wood that stand up to the harsh outdoor elements but they will make you think of a chunky knit sweater. 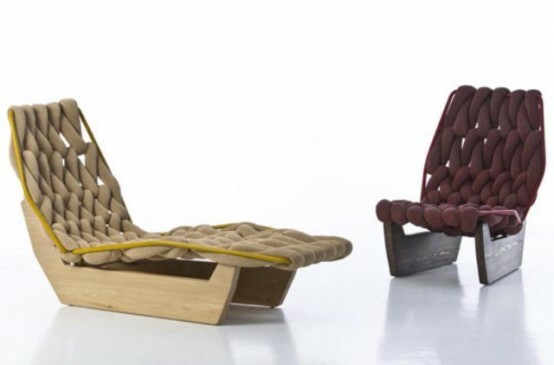 There are two versions: an indoor and an outdoor one; the oversized cords are woven onto a contrasting powder coated steel frame. The outdoor version is made with a soft polyethylene down core that’s covered with a polyester/PVC knit and available in three different color combinations – Honey, Mint, and Fire. 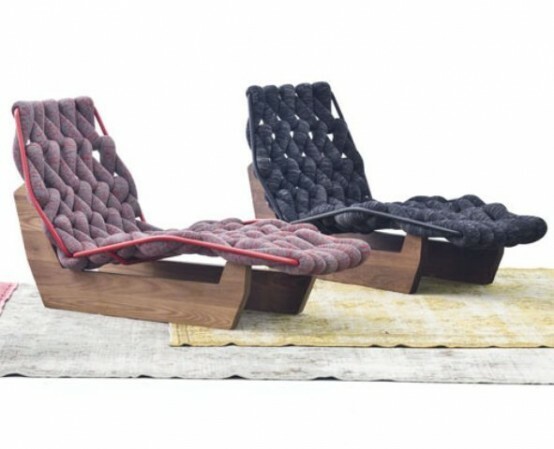 These are perfect pieces to take a nap both indoors and outdoors in any season.